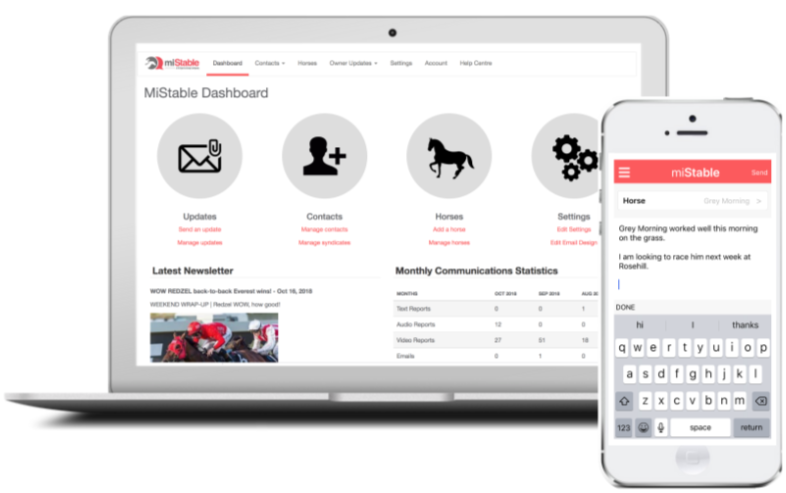 With over ten years and trillions of reports experience, miStable has the knowledge and expertise to help you keep your owners up-to-date with all the latest information on their horses. 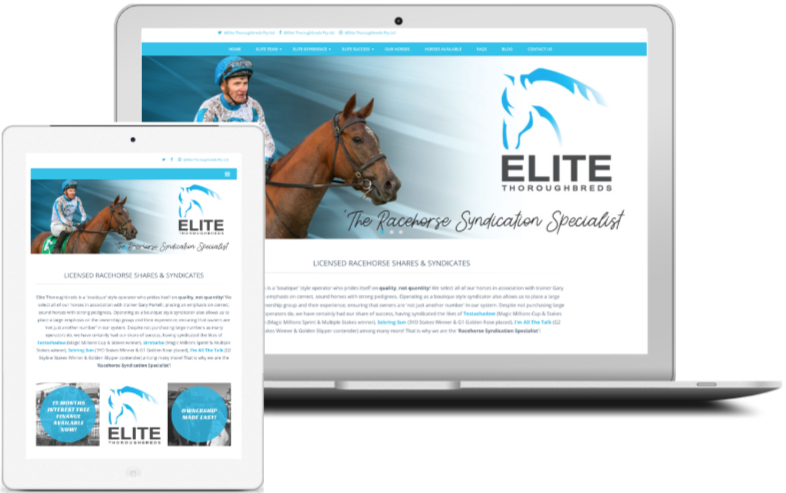 Over ten years of working with trainers, breeders and SYNDICATORS! Send high definition videos in seconds. Add multiple photos at once. Dictate text reports on the run. Simple to use. Never miss a race again with a 9 minute jump alert. 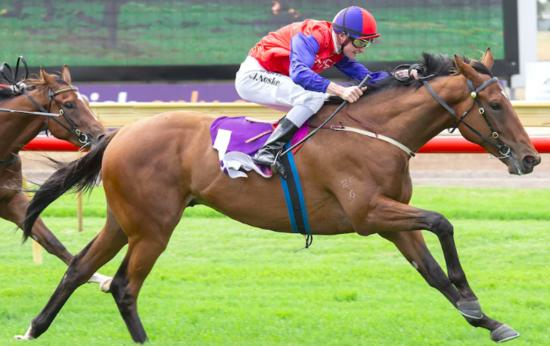 Auto noms, weights, acceptances, scratchings and results. Stand out from the crowd and gain new business with a dynamic and fresh website tailored to your business goals. Don't pay for cloud services, get them for free. We’re here to help! Voted as one of the most valuable reasons to choose miStable. Always on 2048 bit SSL encrypted data environment. Our team loves using miStable. We've found our website to be an effective way to showcase our horses for sale and we get a lot of interest through our website. miStable has become an invaluable asset in the daily running of our business. The information and communication to our clients has been improved remarkably which is vital. Our customised website is a great way to promote our business and reach new clients. 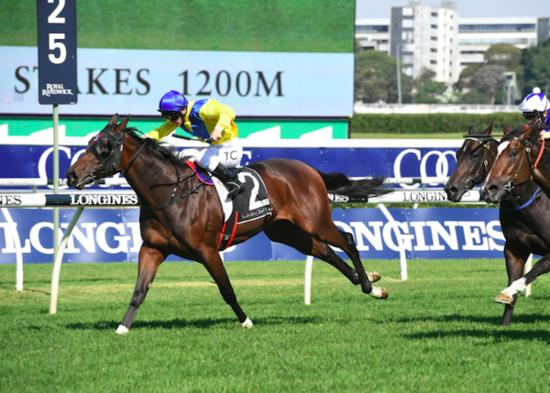 Owners like the instantaneous use of it, like hearing jockeys comments within minutes of the race. Your owner app and emails makes it easiest for our clients who are the most important part of the process. 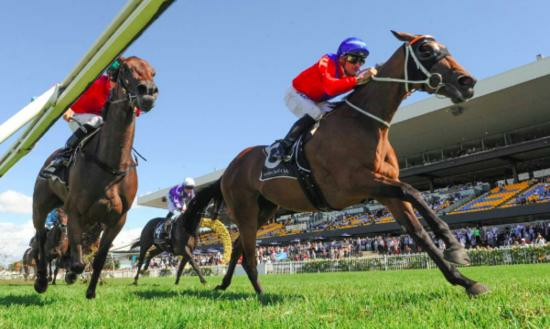 Satisfy your owners with a premium horse ownership experience from miStable. Send all your owners secure text, photos, audio and video reports in seconds with ease! Even better, you can do it from your smartphone or tablet using the highly acclaimed miStable App! Maintain and grow your contacts database using our general correspondence, reach new and potential customers customers with ease. Lead, don’t follow with a website showcasing you and your business in a unique light. Attract new clients, promote your stable, syndication or stud farm and sell your horses to a global audience. Keep visitors up to date with dynamic information and rest assured you will always be offered the latest developments and trends in design and functionality. Only provider of an owner alert 9 minutes pre jump. Never miss a race again. Plus, customisable notifications and up to the minute field information. Offer your owners a premium experience for no extra charge! Your owners are looked after and able to keep all their reports from you in the one place. They won’t have to contact you again for an update, it will be in their pocket! 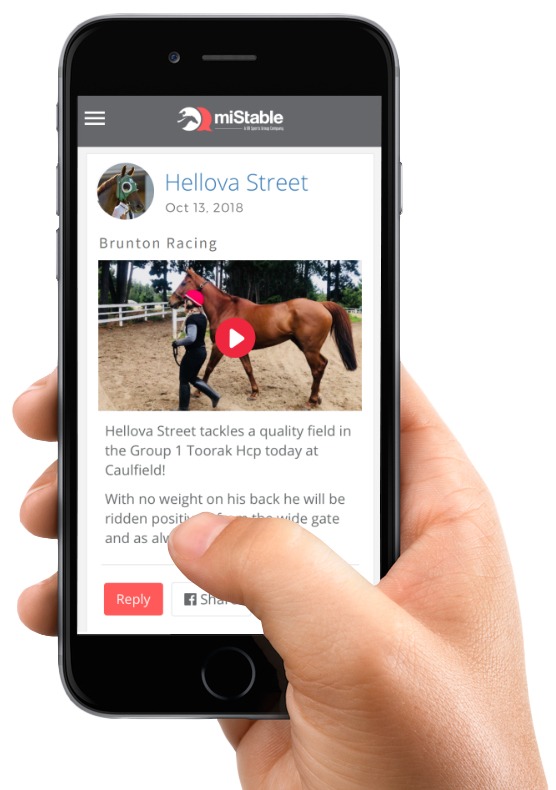 Owners will never miss a race again with a 9 minute jump alert for race day notifications. All prices monthly in Australian Dollars (AUD). 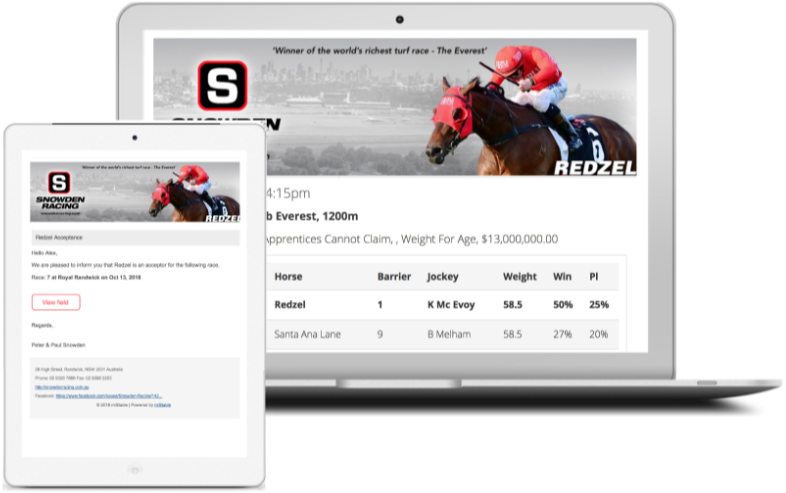 Trainers, pre trainers, syndicators and studs can effortlessly communicate with thousands of owners directly from their smart phone. 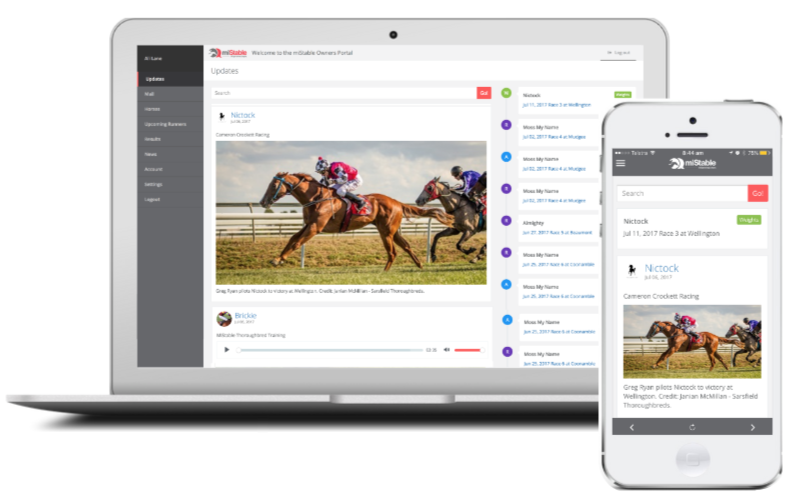 Owners can view, share and revisit all their racing information and trainer communications - and set their notifications for 9 minutes pre jump to never miss a race again.